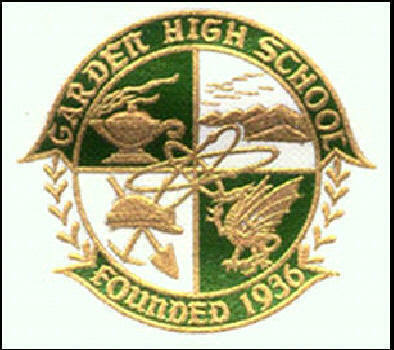 To preserve the memory and history of Garden High School (GHS) and Triangular Mountain Institute (TMI). Also, to obtain TMI documentation, GHS Newsletter (The Gardener) documentation and a complete set of all GHS Annuals. Subject documentation will be preserved for historical and reference purposes. * a "meeting place" for Alumni/Friends to find former classmates, friends, and/or teachers. To operate on a non-profit basis. To obtain a place for storage and preservation of the GHS Annuals, TMI documentation, GHS Newsletter documentation and the GHS Annuals. (Copies of all Annuals (1943-2001) are on file at the Buchanan County Public Library). To cooperate and support Community Service Projects sponsored by the Appalachian College of Pharmacy (ACP). Also, to promote and/or sponsor educational programs and other activities in the area. Garden Alumni and Friends meet bi-monthly (Jan, Mar, May, July, Sep & Nov) for lunch on the second Tuesday at Lebanon Bonanza Restaurant, Lebanon, VA at twelve noon. All who attended Garden High are welcome to come and eat and socialize. Coordinator for the bi-monthly meetings is Pearlie Owens Ramsey'52 (email: pearlieramsey@gmail.com and phone: 276.880.2299). The Green Dragon as our Mascot and School Spirit.